We put our heart & soul into every pizza. 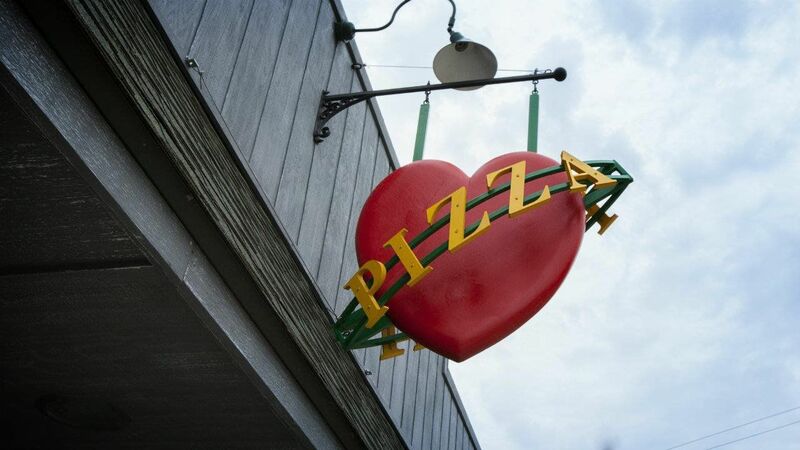 Established in 1980, Hart Pizza, located one block west of State Street on East Main in Hart, Michigan, is Oceana County’s pizza & sub headquarters. Each pizza is hand-made to order. Are you a human being? Then we bet you love pizza! And we know you’ll love ours, because they’re all made from scratch with love. Come on in and say hi. Our dough is made fresh daily, but that’s not all. We also are fanatical about putting only the finest, freshest ingredients on top of it. We’ve made (and eaten) so many pizzas that we know one thing: settling for anything less than the best for any one ingredient is a no-no. Each pizza is all about the sum of its parts; each ingredient must be top-notch, and ours are. The community of Hart has accepted us from the beginning and enjoyed so many of our pizzas. Putting love into each pizza is our way of saying thank you for being such a wonderful, giving bunch of people. We’ve proudly raised our family here. We’d love to feed yours, even if you’re just passing through!